My RichSieber.com website is an easy resource for Buyers and Sellers of homes, investments, and commercial properties to start your search. This website is designed to provide you with a simple way to view all of the homes and land for sale in the Intermountain MLS today. You have the opportunity to insert your own personal criteria for the type of home you're searching for. You are in control. Boise is the "City of Trees" and Features Four Seasons for Everyone to Enjoy! Search For Boise Idaho Real Estate and Southwest Idaho here. Search Real Estate in Boise Idaho and Southwest Idaho in seconds not minutes. Use our automated home search. 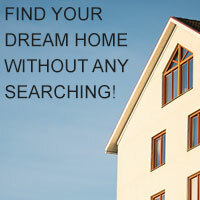 Find your dream home here in Boise now!! Fill out our relocation form and receive a free electronic relocation packet of Boise minutes.